Believe it or not, Pixar was once a scrappy startup. The multi-billion dollar juggernaut with a near-perfect record of churning out hit after hit today was once "a bunch of guys going on their gut" according to Andrew Stanton, a co-founding filmmaker with the company whose credits include writing and directing Wall E and Finding Nemo. Stanton explained at the TED Conference on Tuesday that back in these scrappy days of 1993, as this group was putting together its ideas for its first movies, it saw itself swimming upstream against the dominant forces — and mindsets — of animated films. Remember — at this time popular animated movies included song-and-dance hits like The Little Mermaid and The Lion King and Aladdin. Successful fare to be sure, but Pixar looked at the competition and saw an opportunity to make animated movies that were different. They didn't have to follow the mores the others felt. They could tell different kinds of stories in different way. So this "group of guys" drafted a set of "secret story guidelines," as Stanton describes them, to help guide them internally against the prevailing winds in the animation world at the time. Against the context of what worked at the time for animated movies, these were pretty subversive. Even in today's Pixar-dominated landscape, they're pretty stark and some may have bent over time. But still, these rules established a clear set of parameters for the company. With them, they plotted a countervailing course, one that led the company to its unparalleled run of success today. But Pixar's approach almost didn't come to pass. Disney, a key early investor in the company, grew worried that Pixar wasn't heading in the right direction after early setbacks in the making of Toy Story. So Disney hired a leading animation producer to help lend a hand to the scrappy bunch. This producer faxed Disney a set of rules (remember faxes?) that Pixar's team somehow got ahold of. The rules they needed to follow to make its story work, according to him? Pixar held its ground — "We were young enough not to care," said Stanton, and the rest, as they say in the movies, is history. Now clearly, Pixar operates in a specific industry and these guidelines are very specific to that industry and their craft, so they probably aren't relevant outside of that realm. 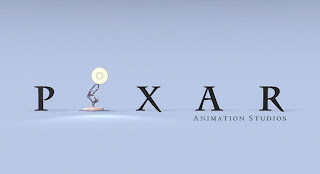 But the idea of taking the time to look around your industry, identify your opportunity, and list off a set of defiant (and slightly cheeky) guidelines that everyone on the team can hold onto proved incredibly powerful for Pixar. It's a pretty classic strategic trick for sure, but one that too few companies or teams likely employ. Given the impact and the success Pixar saw in part as a result of this device, establishing a set of "story guidelines" that work for your team — or your company — may be a tactic you want to consider.